Ben from Myers Woodshop is a husband, father, and woodworker. Ben is originally from Pennsylvania but now resides in Arkansas and has a passion for woodworking that runs in his blood. Ben specializes in custom wood décor, furniture, colored pencil bowls and is a rising influencer on the custom woodworking scene. 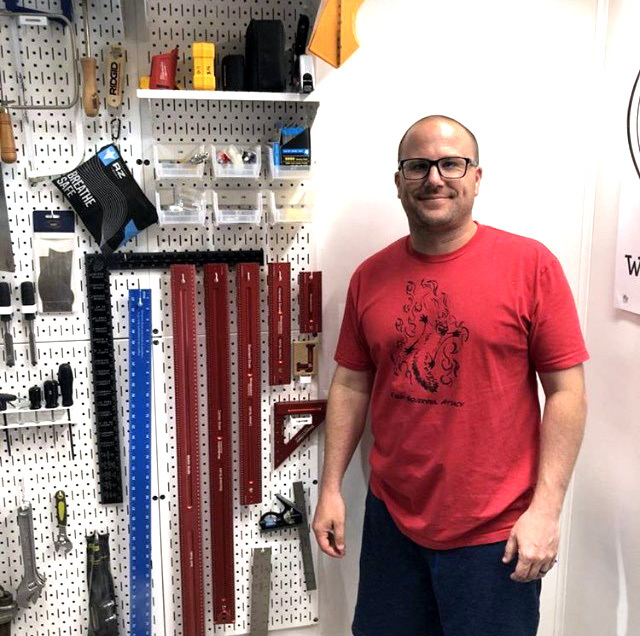 Ben has the Myers Woodshop outfit with White Wall Control Standard Workbench Kits for a super clean and bright workspace. Be sure to keep tabs on all the cool things Ben is up to in the Myers Woodshop by following him using the links below. What Wall Control Pegboard Products is Ben from Myers Woodshop Using?